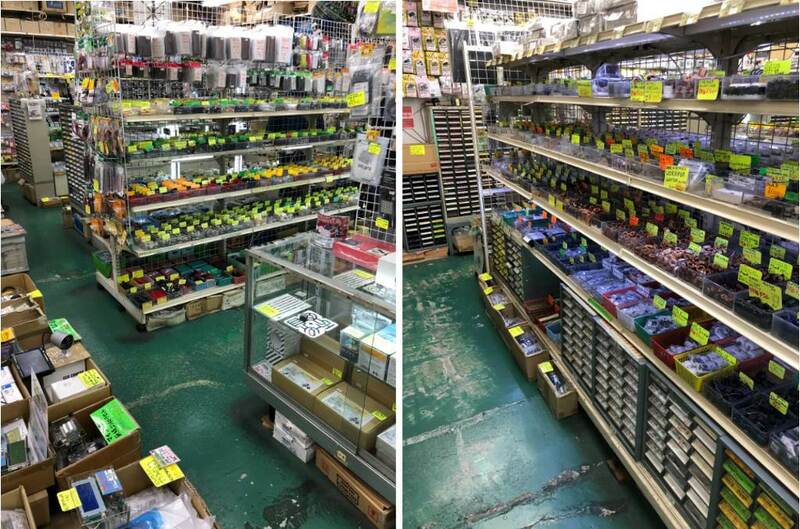 In this tour, we will show you stores that sell various sensors and electronic circuits in Osaka Nipponbashi district. Silicon House - Kyohritsu Electoronic Industry co., ltd.
Silicon House Kyoritsu has one of the largest sales floor in Japan as an electronic parts specialty shop. Digit - Kyohritsu Electoronic Industry co., ltd.
Digit is an electronic parts speciality store of a traditional style. Nipponbashi is an area in the southern Minami district of Osaka that has long been known for its cheap electronics and appliance stores and has more recently become equally well-known as a center of otaku (or geek) culture.